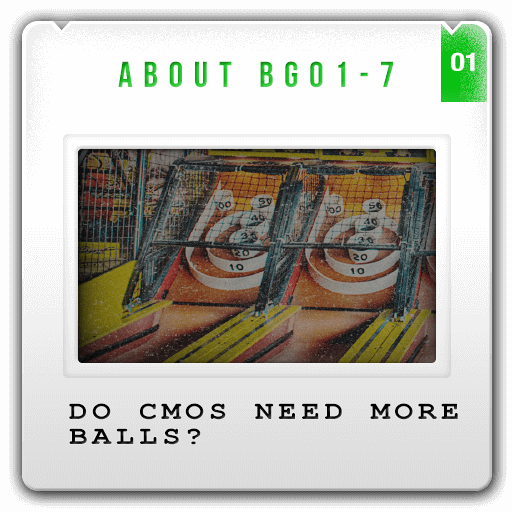 do CMOs need more balls? “CMOs are juggling like hell. And all agencies do is lob them more and more marketing balls." It’s a noisy, messy, messed-up marketplace for CMOs to buy marketing. And getting messier. More and more agencies lob more and more marketing balls at clients faster and faster. From apps to algorithms, to Snapchat channels, to Pokémon look-alikes and beyond. Now a lot of this is really smart, cool, and valuable stuff well worth doing. Most of it is not. What brands need from agencies is not more balls to juggle, not more new approaches to marketing, but a new approach to the role of the agency itself. 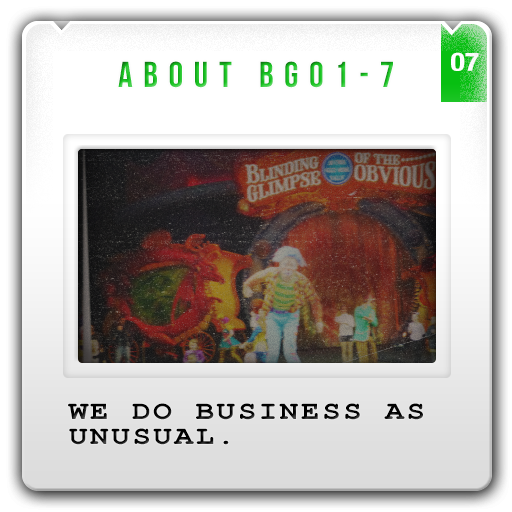 Welcome to BGO. We think, work, and make money unlike an agency at all. 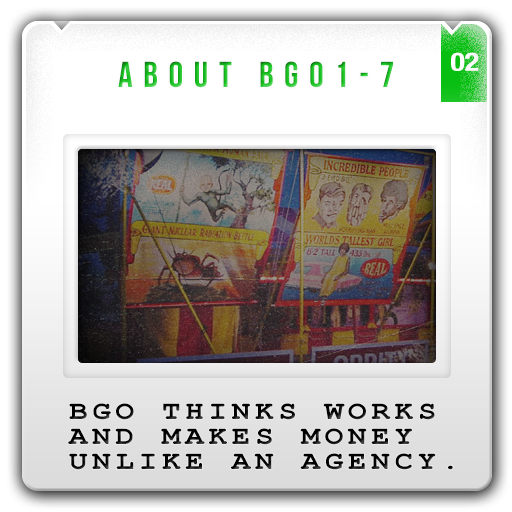 BGO thinks works and makes money unlike an agency. We are set up in every way possible not to push marketing at CMOs. Not to add to the noise, cost, and confusion of the agency marketplace. We work inside/out with brands instead. We shape, buy, and orchestrate marketing from inside the client’s operations. And this has a transformative impact on what can get done together. Underpinning the shift to an inside/out model is a total change in how we make our money. we have nothing to push. We push nothing at clients because we have nothing at all to push. And we are set up to keep it that way. We are married to no one channel, platform, innovation, or marketing mantra – be it a TV spot, web build, or big data. We don’t push full service surround sound 360˚ integration either! Not because we claim to be channel agnostic in some airy-fairy way. No. We push nothing at clients because we operate and make money in fundamentally different ways from legacy agencies. BGO can afford to push nothing because we operate and make money in fundamentally different ways from legacy agencies. For a start, as entrepreneurs not agency suits, we love to have skin in the game. We favor open, innovative win-wins with clients over the dubious (fraudulent?) math of billable hours or the murky commissions of programmatic buying. We are born of the collaborative economy and back our shared ideas to generate new brand & business value. So we embrace shared risk and reward with clients in a variety of ways – from pinning significant fees to agreed performance criteria through to joint ventures with clients and shared or even full-risk ownership and funding of new IP by BGO. This committed and embedded approach frees BGO to pass on net to brand owners any costs at all we buy in for them. To orchestrate and partner with transparency whatever other agencies and outside resources it takes to get ground-breaking work done. After all, it is a noisy market for marketing but, frankly, a buyer’s one too. 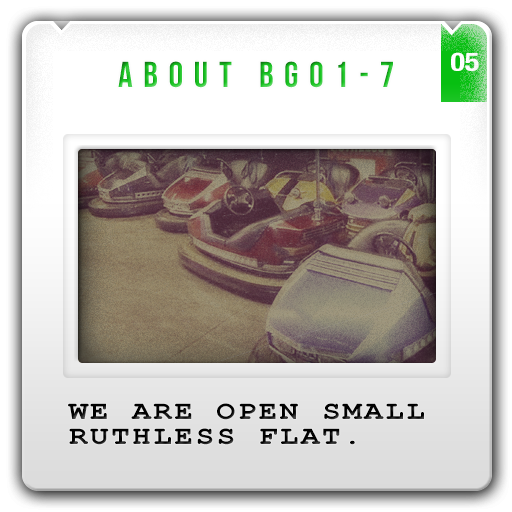 we are open small ruthless flat. Nothing to push lets us speak our mind openly with clients based on shared interest and on retainer, not agency agenda. Nothing to push frees us to represent ruthlessly the customers’ needs, voice, and brand perceptions deep inside the client organization. And our unagency-like model enables us to stay outstandingly small and agile. With no factory to keep busy or manage-ment pyramids to sit on. So all members of THE BGO CORE work on... the work! Above all working inside/out leaves BGO free to identify, develop, and give clients ground-breaking ideas that are brilliantly simple and obvious. Exactly the kind of no-brainer organizing ideas that get lost downstream in AOR turf wars and zero sum thinking. Lost in old school agency bias, finances, and operations. Or in the gaps between traditional, new, and specialist skill sets. In fact, we insist everything we do passes the obvious test. Hence our name. Because blindingly obvious ideas tend to be the really valuable ones. we do business as unusual. By being small, agile, and open, operating inside/out for clients with real skin in the game and upstream of traditional agency briefs – where the real challenges and business as unusual opportunities take shape – BGO has been able to subvert and radically reinvent the agency model to provide a huge unfair advantage for the modern CMO. That advantage is our ability to see and oversee with them exactly the kind of brilliant but blindingly obvious ideas that are needed now more than ever to navigate a landscape of accelerating change, complexity, and outlandish opportunity. To create bold new brand and business value from legacy marketing budgets. Oh yes. And we cheat. On our clients’ behalf. Thanks to THE BGO COLLECTIVE.